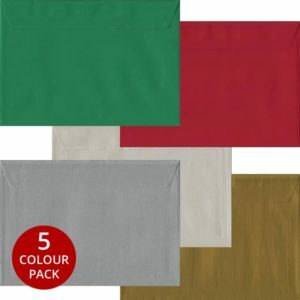 Our Xmas Pack contains five of our most festive colours. 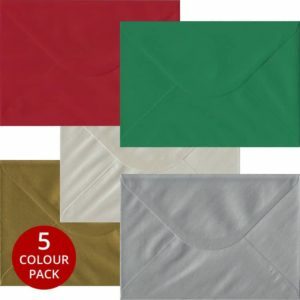 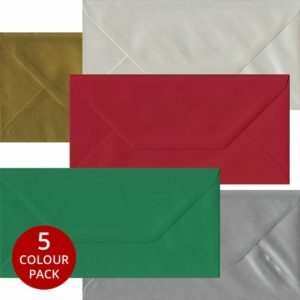 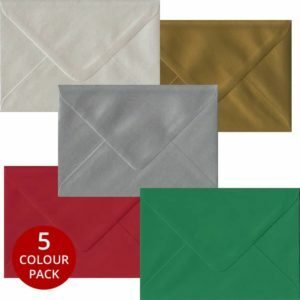 With Metallic Gold, Metallic Silver, Oyster White Pearlescent, Scarlet Red and Xmas Green our Xmas Pack has something for everyone. 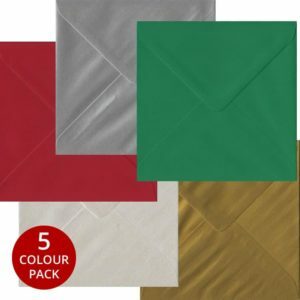 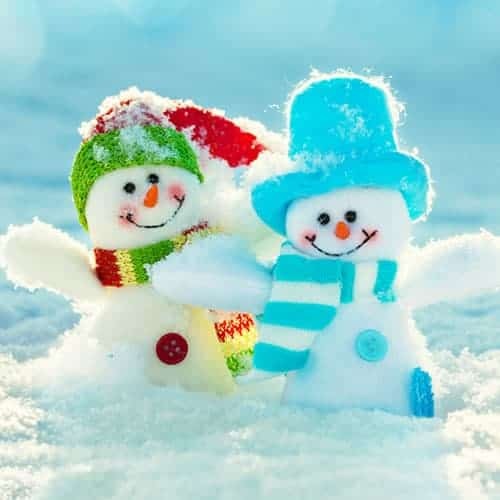 Available in all our most popular sizes our Xmas Pack is perfect for sending out your Christmas cards or having Christmas Party.